This feature was created by Australian Traveller and supported by Mount French Lodge. Mount French Lodge, located in Brisbane's backyard. It’s time we take a break from the coast and explore the almighty inland of Australia. The perfect way to do this? Spend a long weekend at the luxurious Mount French Lodge. Just an hour and a half from the Gold Coast and an hour’s drive from Brisbane, it’s the setting of a well-deserved lavish, true-blue adventure. The property’s breathtaking views of the Great Dividing Range, paired with its elegant and spacious build, make for the ultimate retreat located in Brisbane’s backyard. 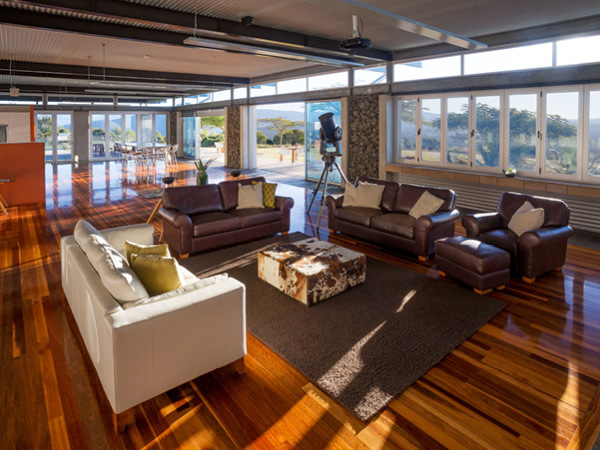 Whether relaxing by the pool enjoying a fresh gourmet BBQ lunch with a spectacular view, or heading out for a scenic drive and bushwalk, your time at Mount French will no doubt be spent wisely. It’s the perfect place to disconnect from the ruckus of daily life and reconnect with each other in the beauty of Australia’s sunshine state! 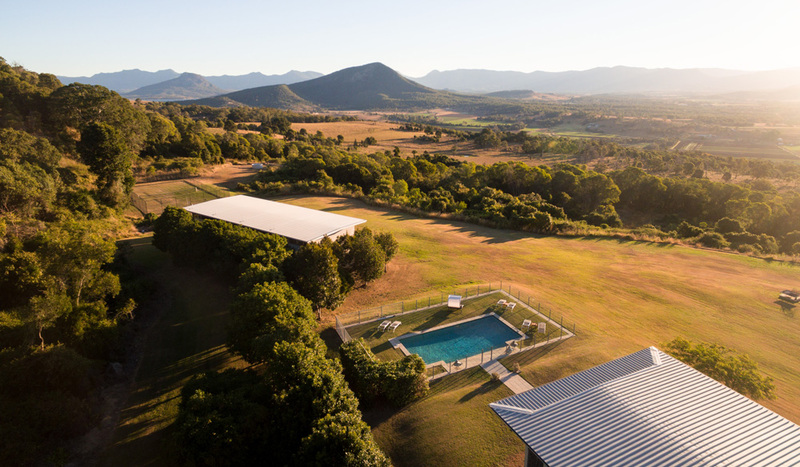 The lodge is located in the stunning Scenic Rim, a region of QLD full of wonder and character. Whether it’s within one of the six national parks around or across the private tracks of the property, a bushwalk is a must in your weekend itinerary. If you’re looking for a short walk and picnic spot, the Mee-bor-rum Circuit in Moogerah Peaks National Park is about at ten-minute drive away. Or, you could step it up a notch and head to Main Range National Park to complete the three hour Mt Mitchell Track that passes through open eucalypt forest. During each walk you’ll stop by breathtaking lookouts, stunning picnic spots and get a glimpse of the beautiful Australia wildlife that call this area home. The lounge area of the Mount French lodge. One of the best ways to explore the surrounding Scenic Rim, is by car. The wide country roads travel through Australia’s most accessible World Heritage-listed rainforest and provide for some of the most impressive views of the region. Many of the drives will take you through the national parks, while also allowing you to stop at the unique towns, wineries and pubs along the way. One particularly impressive route is Spring Creek Road, which takes you down to Queen Mary Falls. If you feel like stepping out of the car for some fresh air, then bring a bike along and cycle some of the way. One of the most incredible experiences Mount French Lodge offers is it’s on site dining packages. But, while these are incredibly delicious, it’s also worth stepping off the property and trying out the local dining hot spots. You’re bucket list will fill up fast, with Karoomba and Bunjurgen Vineyard being two must visit spots. After enjoying their award-winning wine, indulge in a desert from Arthur Clive’s Family Bakehouse and make sure you don’t leave without a pit stop at Scenic Milk Bar and Scenic Rim Brewery. If you find yourself relaxing a little too much and want to get the blood pumping again, there are plenty of activities around to do just that. Hop on a Hot Air Balloon ride at Beaudesert for the best views of Scenic Rom from above. Take on an off-road challenge with multiple four-wheel driving trails at Scenic Rim Adventure Park and Mt Barney Retreat. Or, you can trade in four wheels for two at the QLD Moto Park that’s just a twenty-minute drive from the Lodge. Make sure you fit in a trip to Wyaralong Dam to partake in a day of Mountain Biking at the world-class Mt Joyce Mountain Bike Trail Park or horse riding at Mt Joyce Recreational Park. No matter what tickles your fancy, there is something for everyone close by. Luxury at every turn at the Mount French Lodge. Although the property itself boasts a beautiful open outdoor pool for you to soak up the sun, the surrounding region hosts an array of water activities for you to enjoy. Just a short ten-minute drive away, Moogerah Dam is located on Reynolds Creek and is a haven for waterskiing, jet skiing and fishing. Nice and close, Yarramalong hosts a privately run recreation center that is a great spot for families to spend a hot summer’s day with kayak’s available to hire. If you feel like taking a cool dip, then The Gorge Swimming Hole is a must. It’s a quite, shady and large 200m long swimming hole, that’s just an eight-minute drive away from the property. Although there is plenty to in the surrounding region, the main part of your long weekend should be spent tucked away at Mount French Lodge. There are acres of ground to cover with private trails that are perfect for wildlife and bird watching. An outdoor pool to fulfill all your summer’s desires, plus a unique on-site dining experience for any time of the day. And after all of that, the best way to end your day will be with a night of stargazing curled up by the fire. 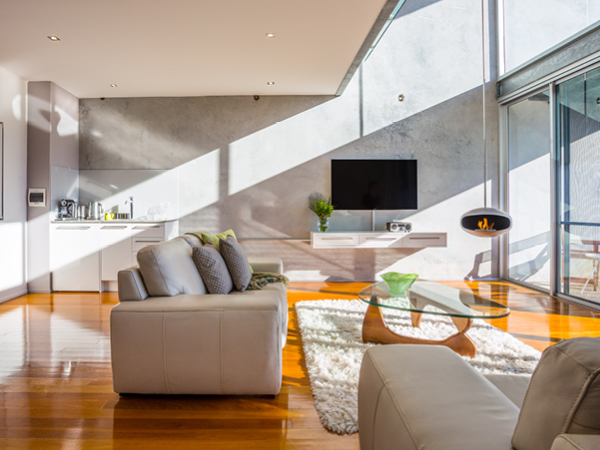 The elegantly modern Australian design of the lodge is the perfect place to gather with friends and make life long memories. For more information on Mount French Lodge and to book, please visit the website.